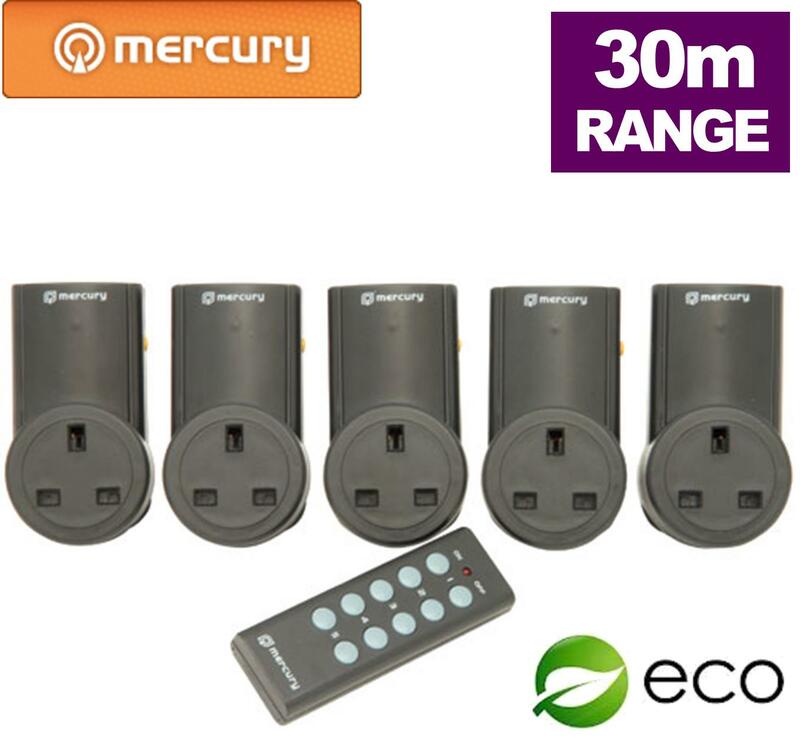 Remote control plugs have a full 30m range and high radio frequency which means you don't even need a clear line of sight. Q: Does the controller come with a battery included? Q: What appliances can I use this socket for? restricted and for those with restricted movement. to be turned on or off at the same time? the radio socket. Ensure the trailing socket is switched on if it has its own power switch. Q: Does it work in concealed locations and behind walls? depending on the material and the thickness of the wall. Q: Can I use more than one of the sockets in the same room, or do they interfere with each other? Q: Can this product be used with any other remote controls such as my TV remote? Answer: This is not supported. Most TV remotes use infrared control. Q: Can the socket be used outside? Answer: No, this product is for indoor use only.